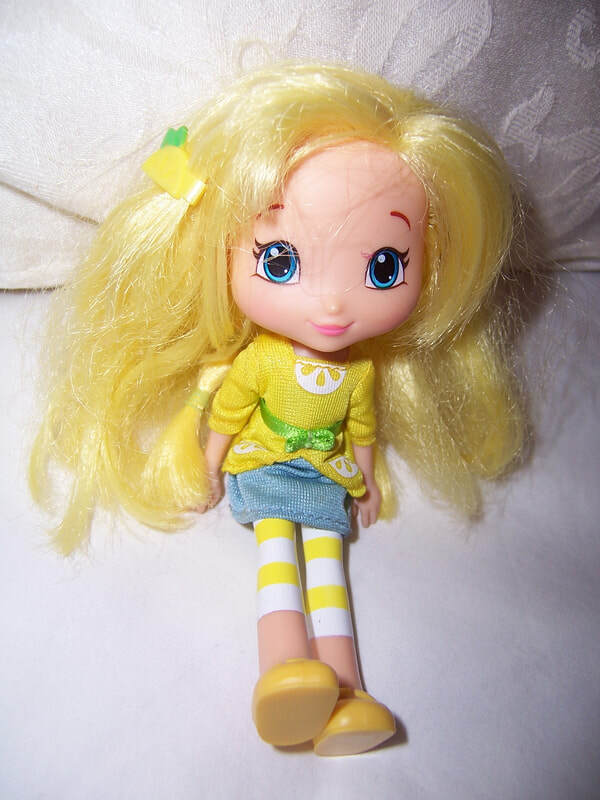 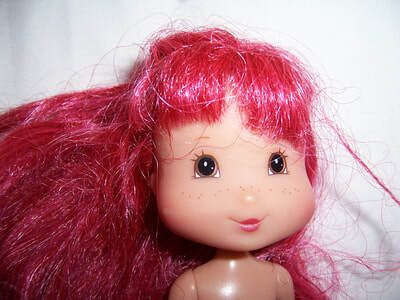 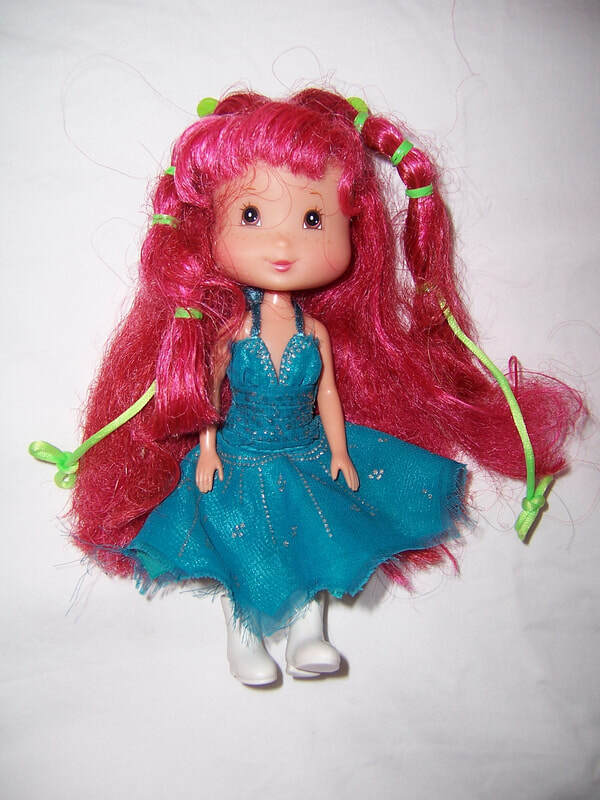 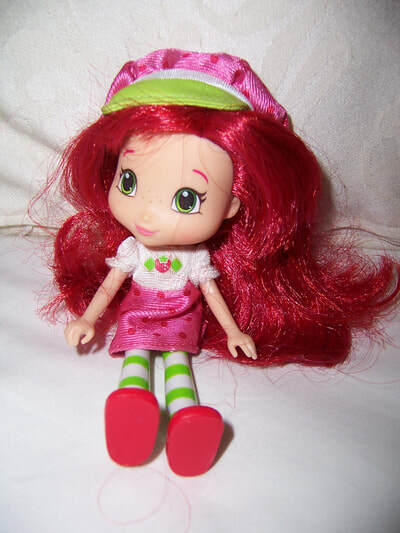 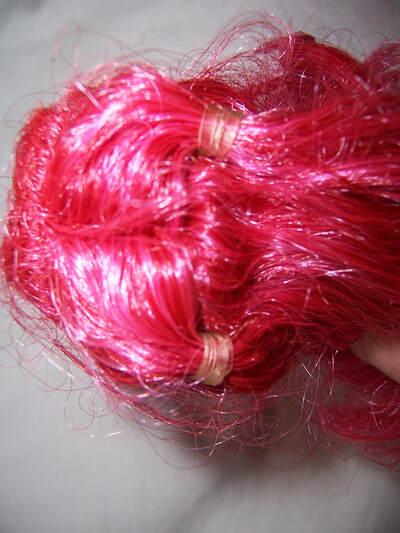 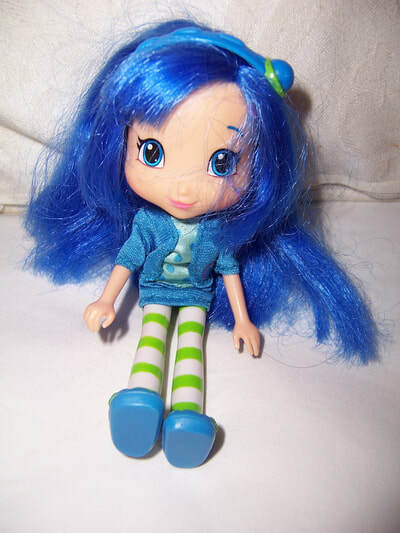 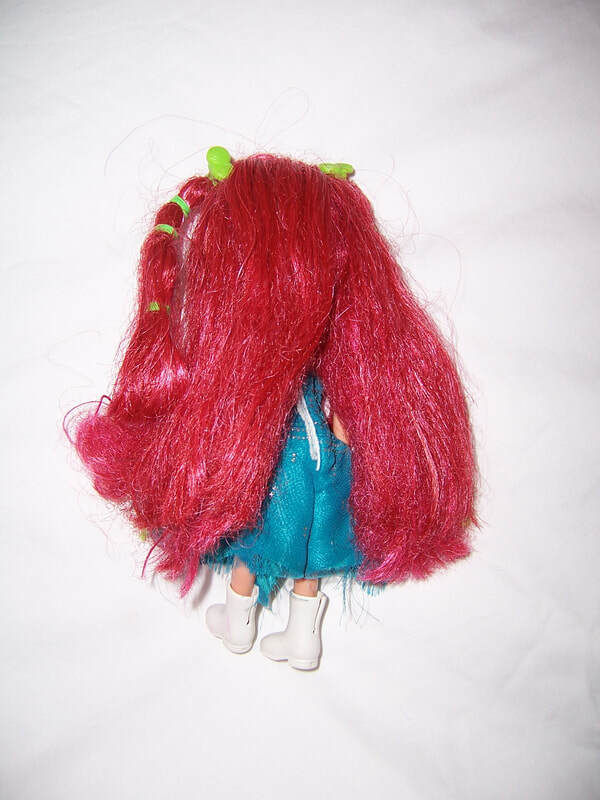 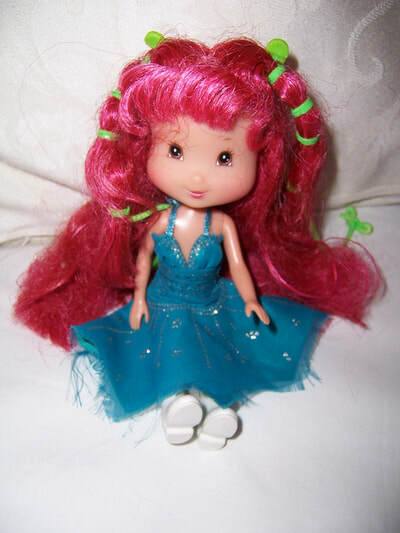 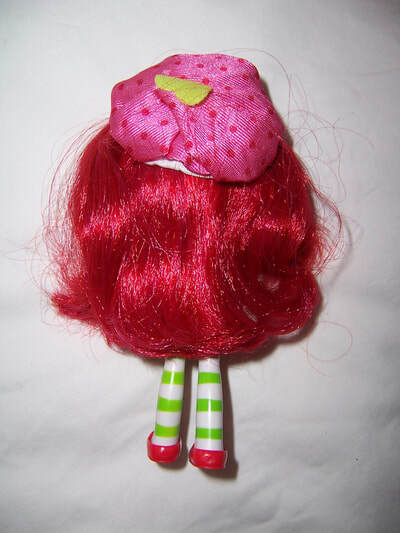 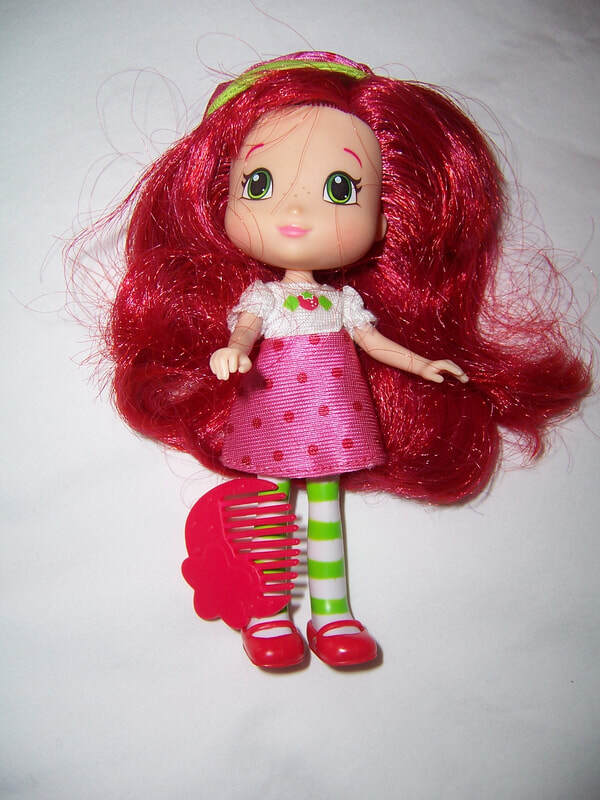 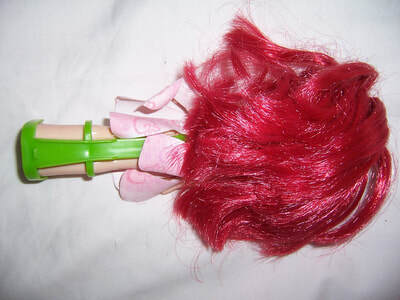 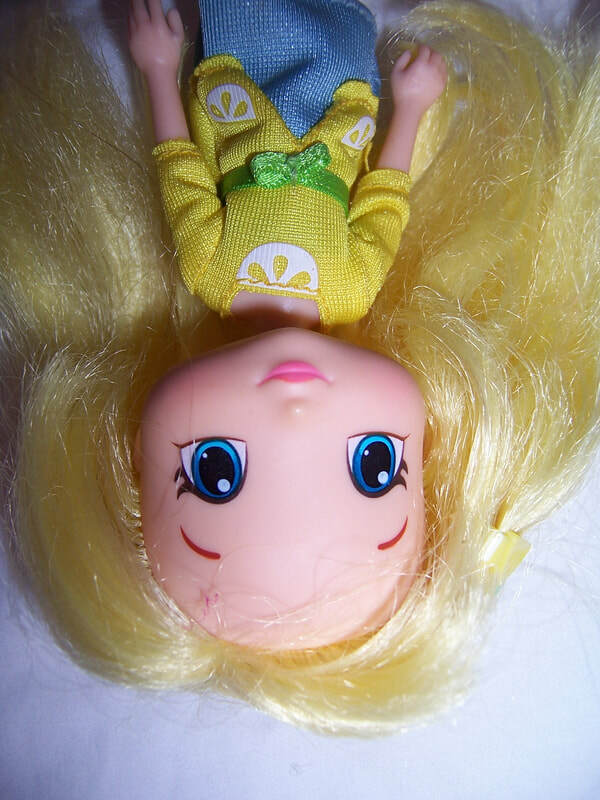 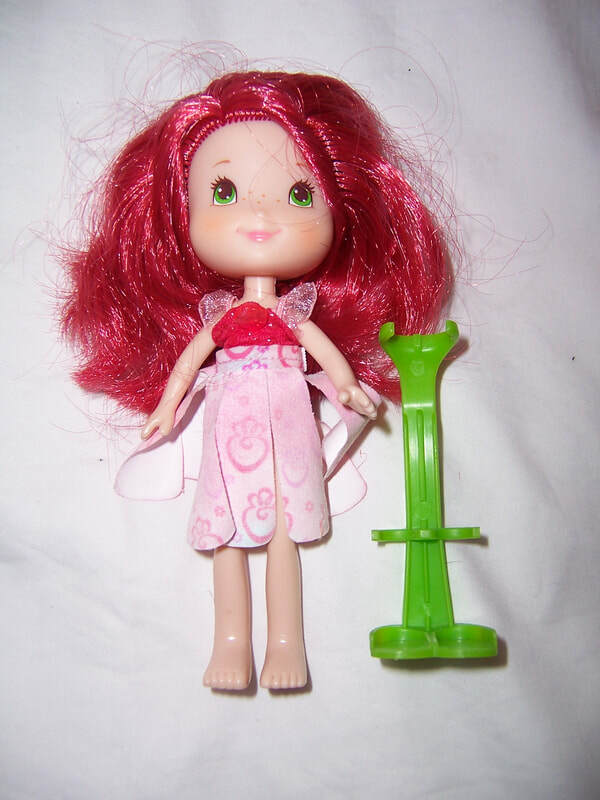 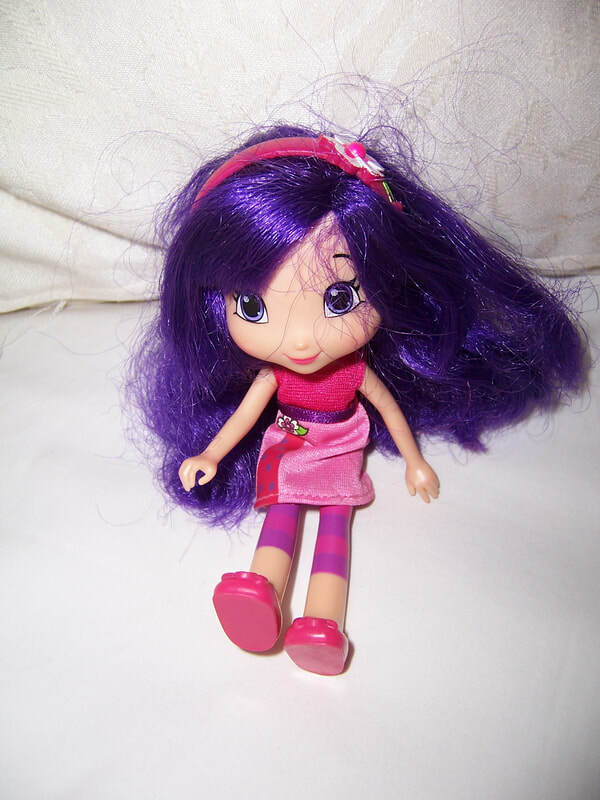 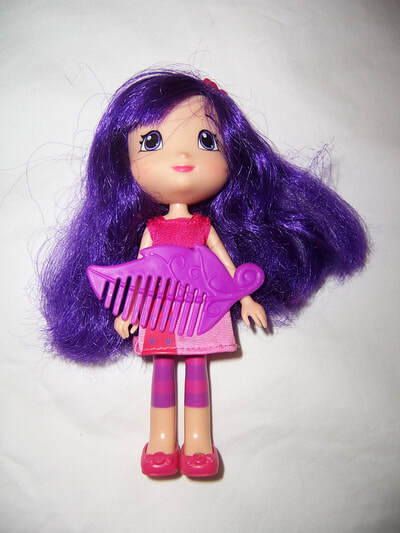 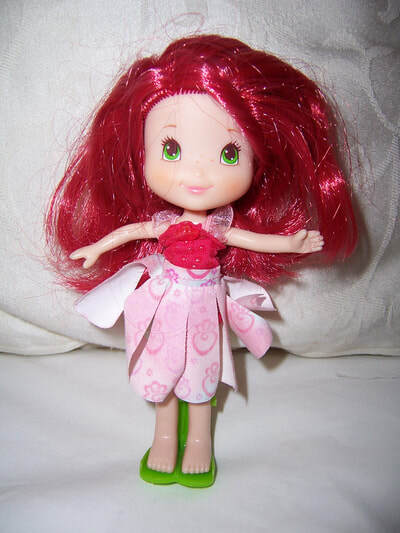 Strawberry Shortcake doll has brown painted open eyes, red mouth,and long red rooted hair which is a little frizzy. 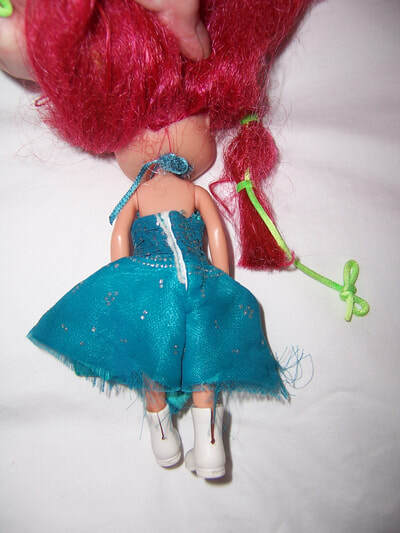 She is wearing a dress which may or may not be original to her but fits her perfectly, and shows some deterioration to the edges. 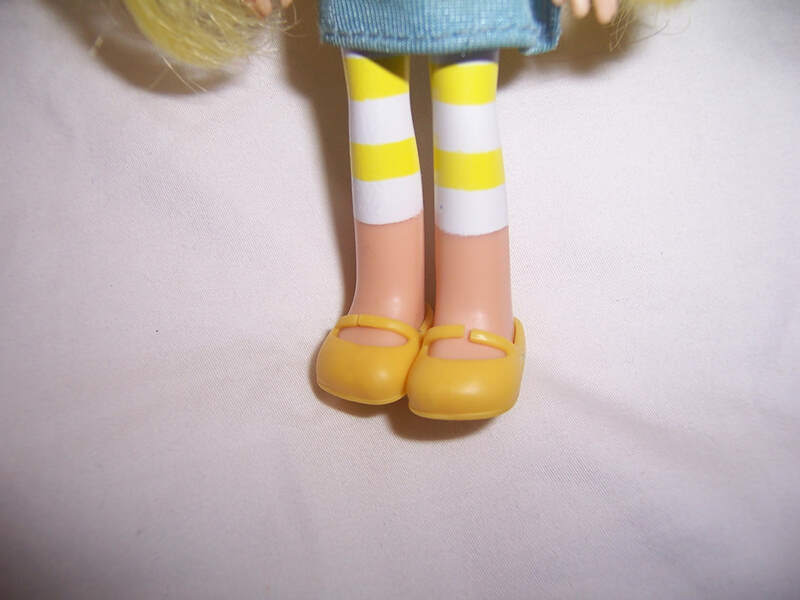 She has on her feet her rare original white removable shoes. 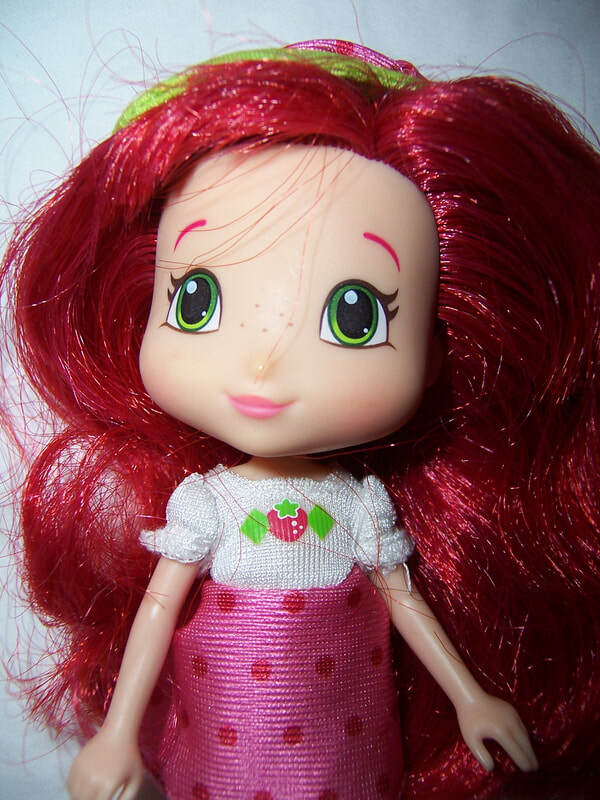 ​Her red hair still has the strong strawberry scent in it. 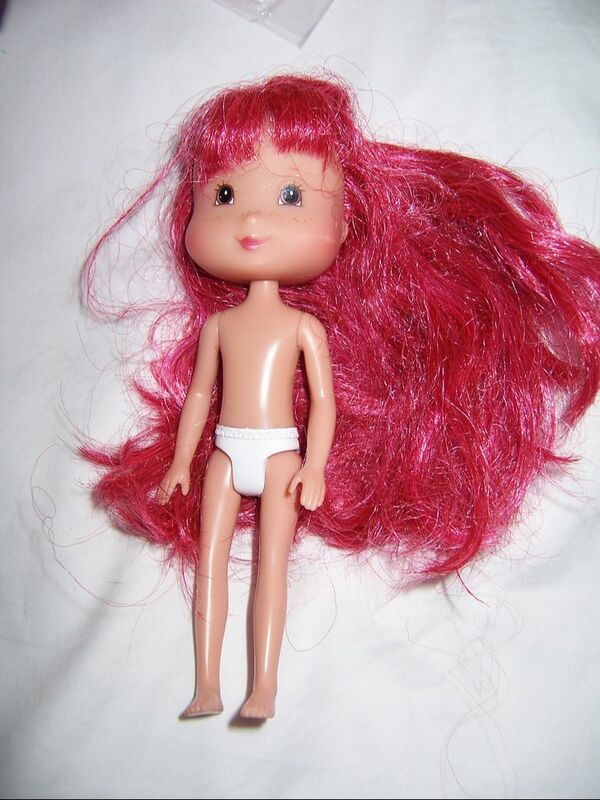 ​She comes with no clothes. 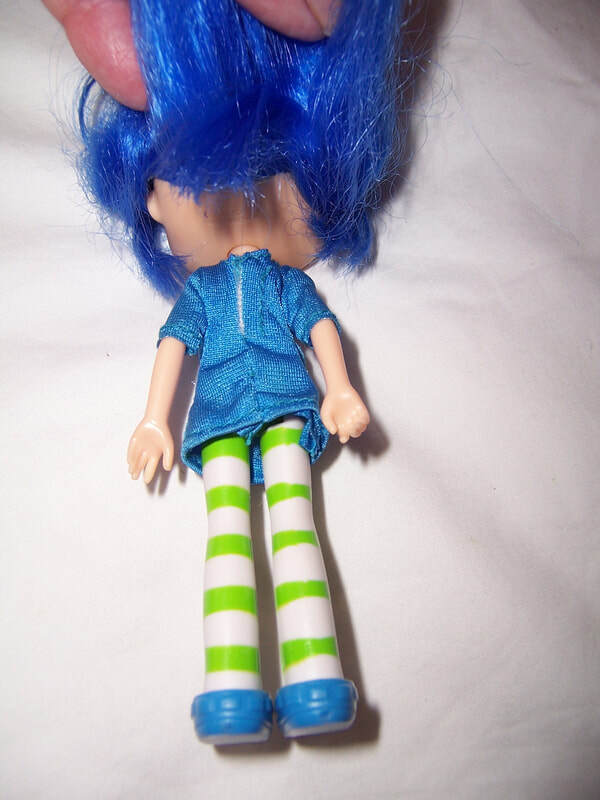 Not sure if this doll is part of a set for not. 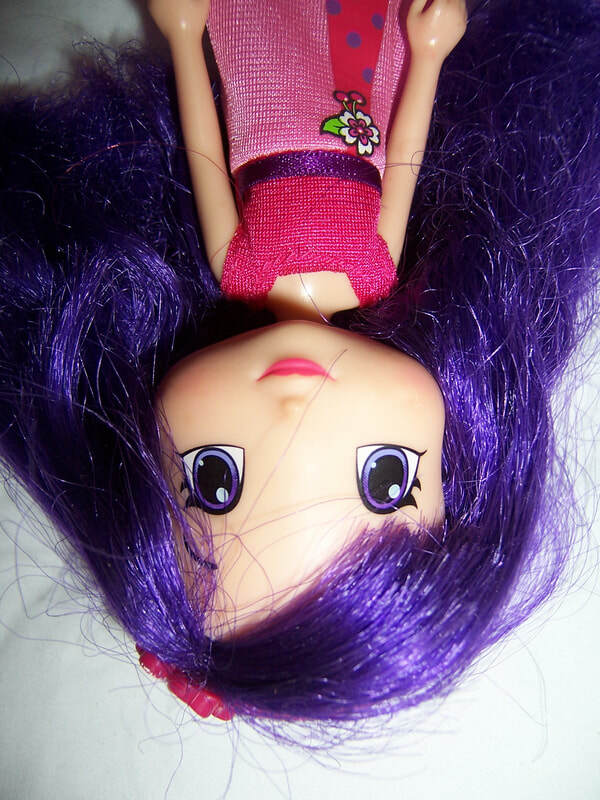 She is different from the other smaller dolls. 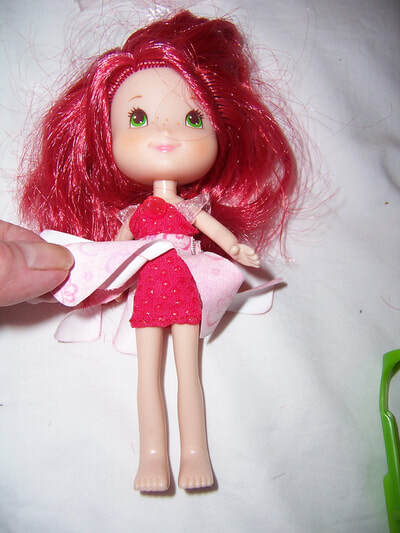 ​Her hair is shorter, and her clothes are a dress with a petal type skirt. 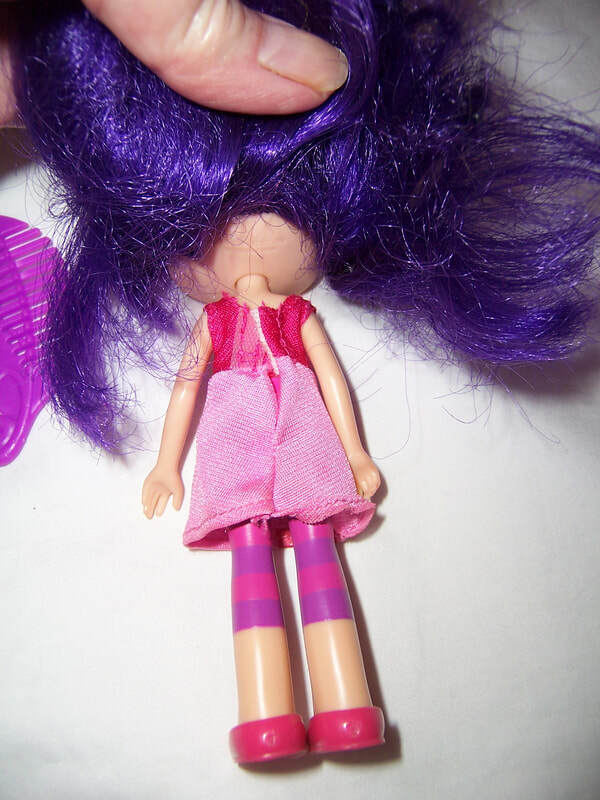 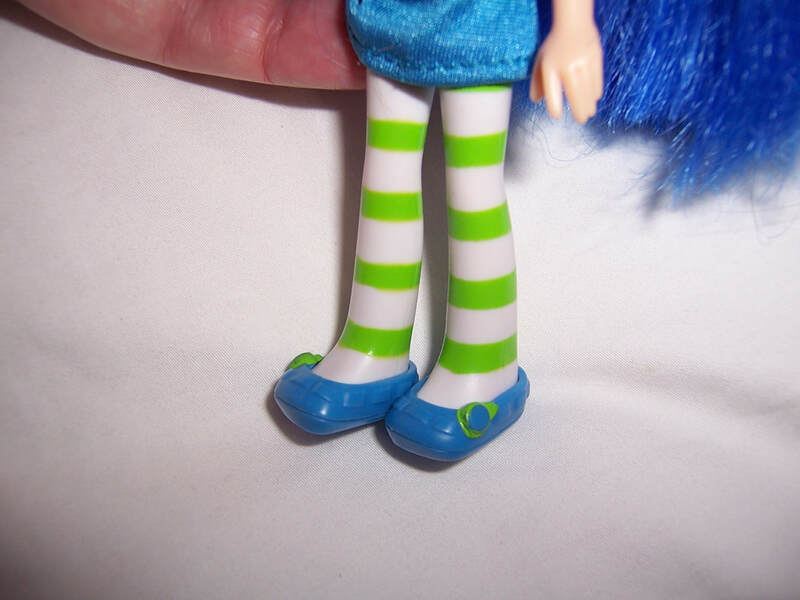 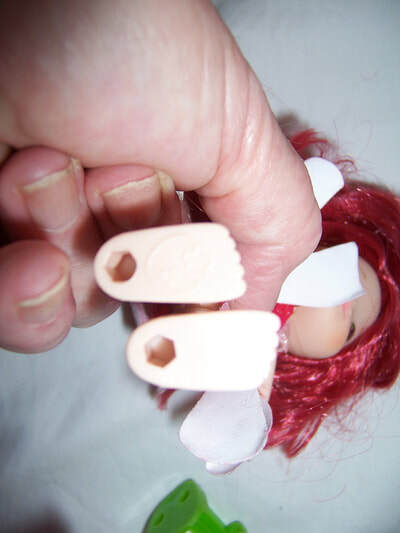 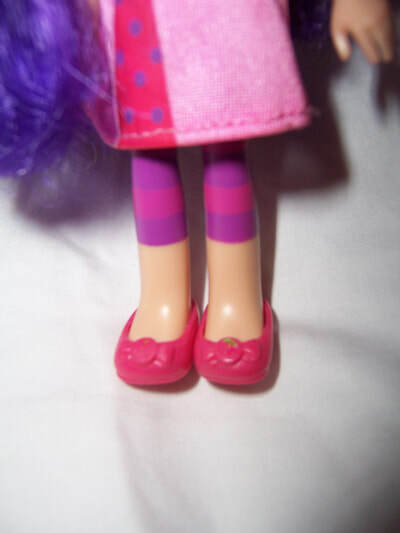 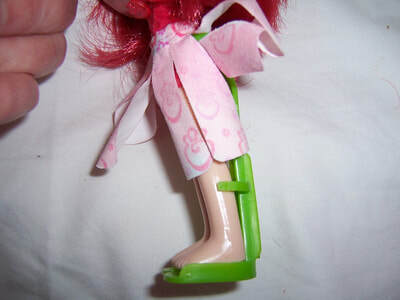 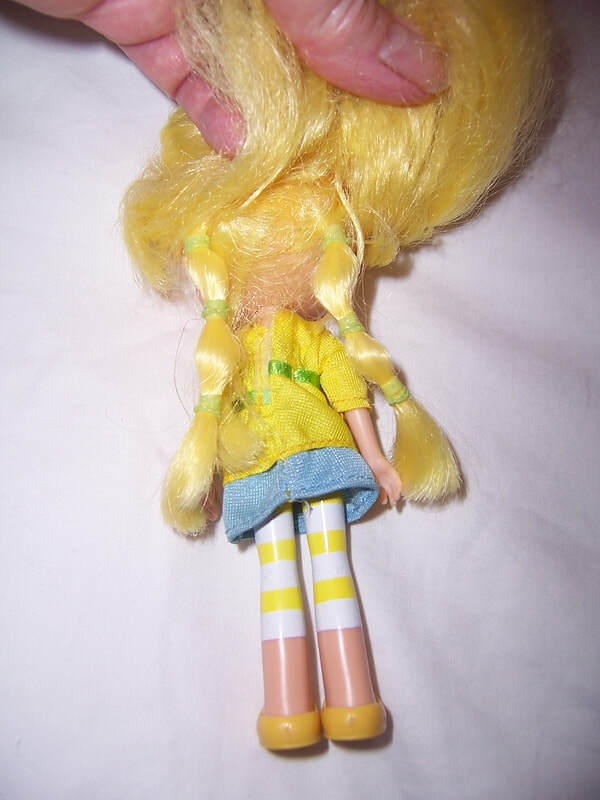 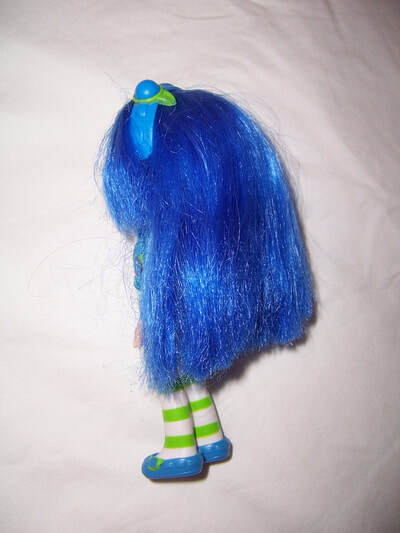 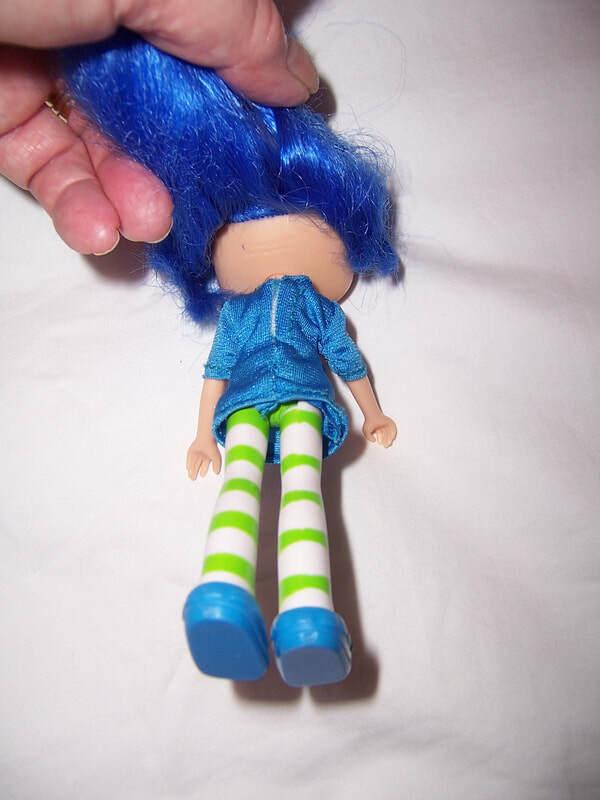 ​Her feet have holes in the bottom with align with the holes in the foot of the green doll stand. ​Her red hair still retains the strawberry smell. 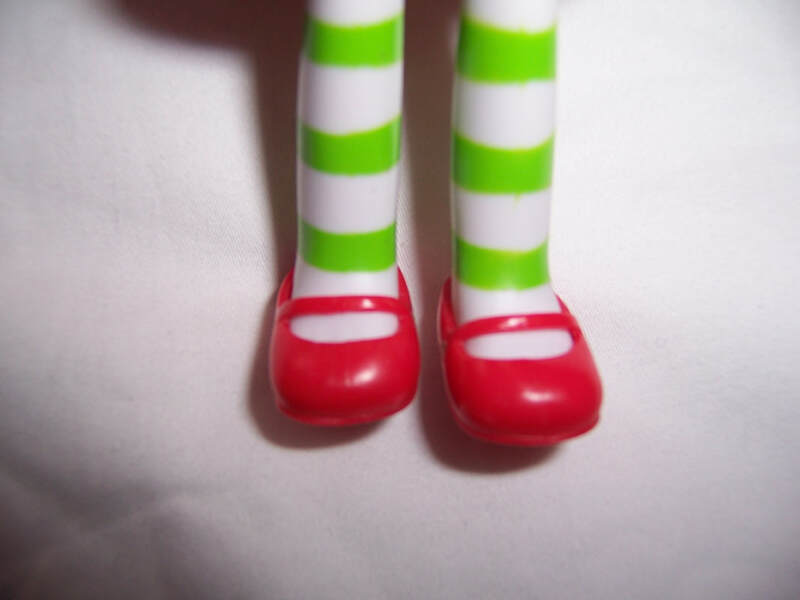 She stands 6'' (15cm) tall. 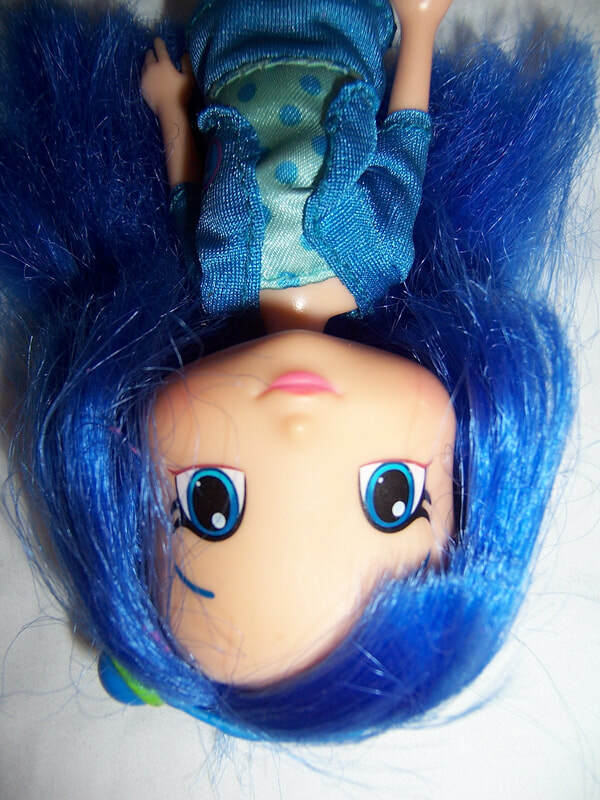 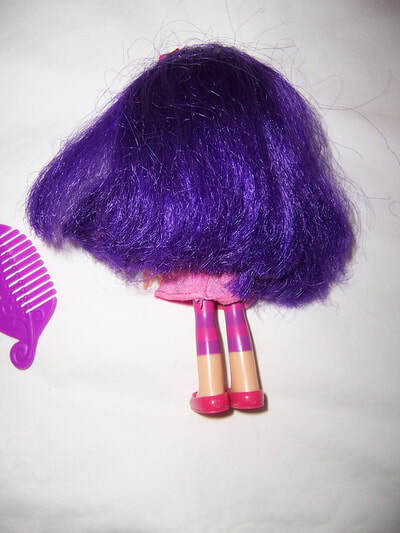 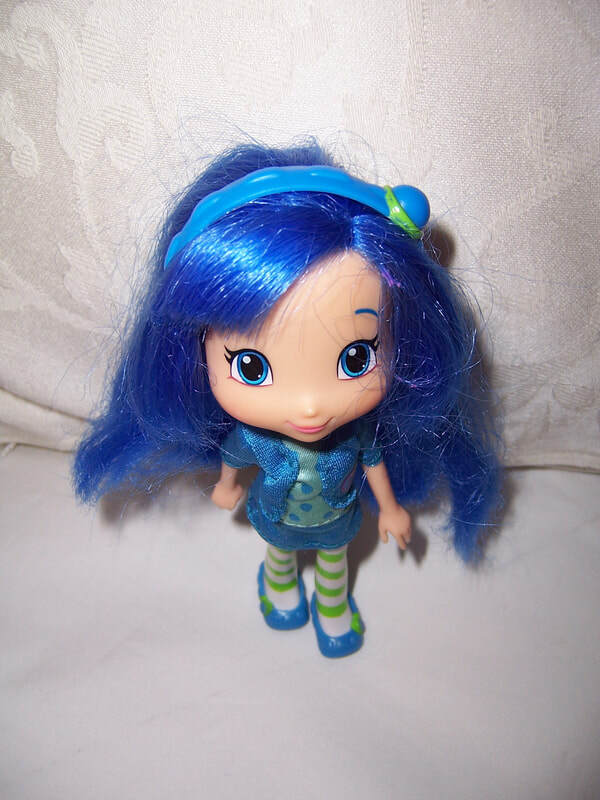 ​These dolls all come with their original outfits and their original hair adornments.